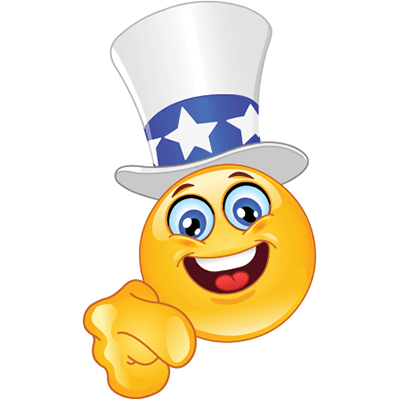 Check out our patriotic smileys like this one. 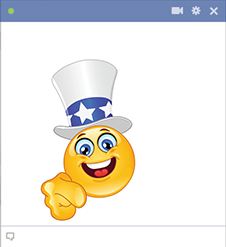 You can show your national pride when you post this image to your timeline or add it to comments. 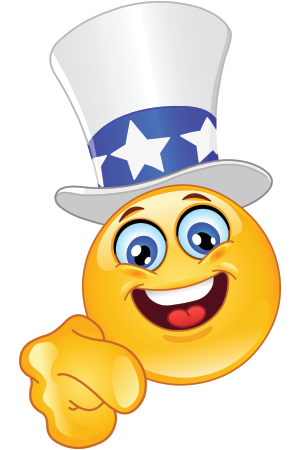 We have a wide array of emoticons that are perfect for holidays like the 4th of July. Take time to discover them all.